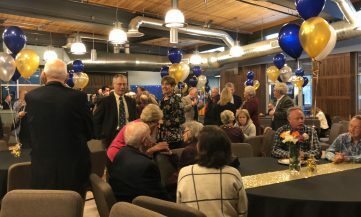 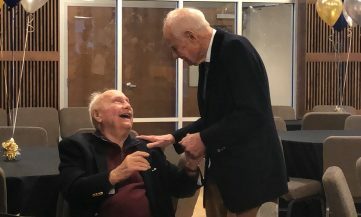 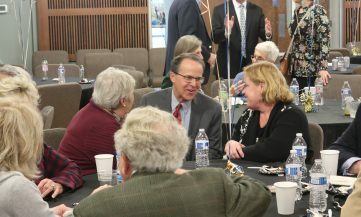 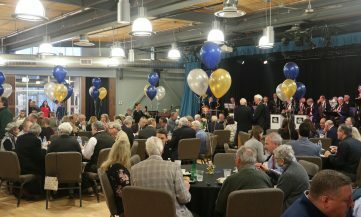 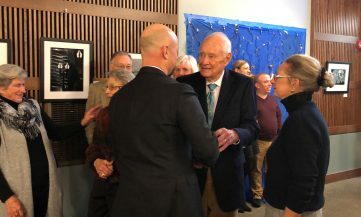 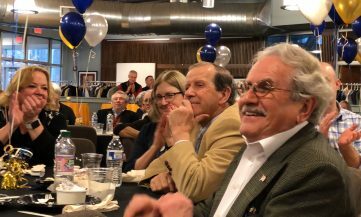 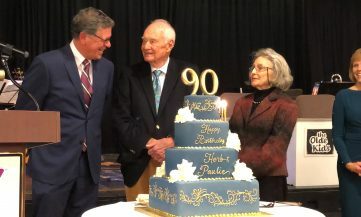 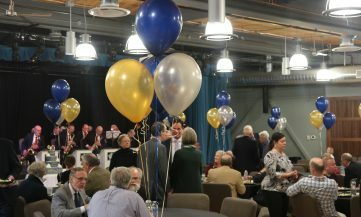 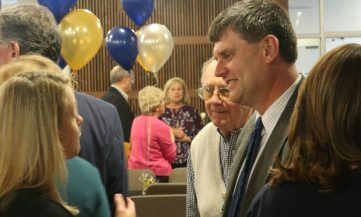 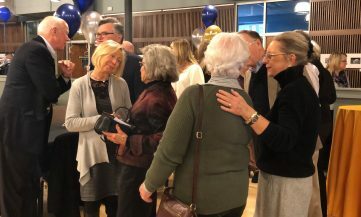 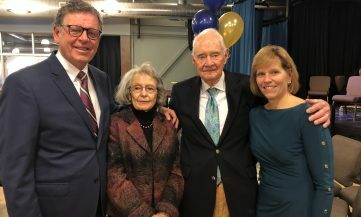 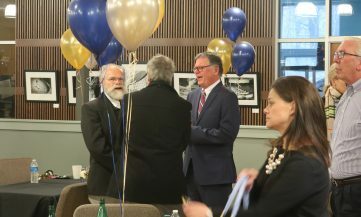 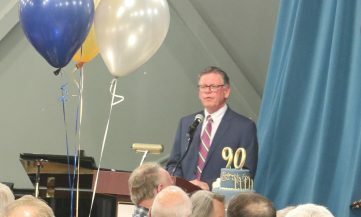 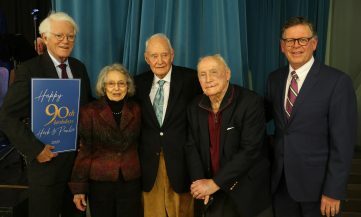 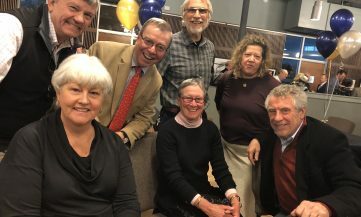 On Thursday January 24, over 130 of the South Shore’s top non-profit leaders, donors, community members and friends gathered with Herb and Paulie Emilson to celebrate their 90th birthdays, which are just weeks apart from one another. 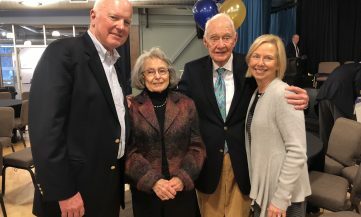 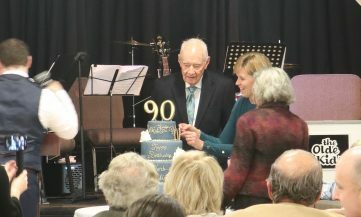 (Herb Emilson turned 90 on the day of the party, and his wife Paulie will be turning 90 just a few weeks later on Wednesday, February 20). 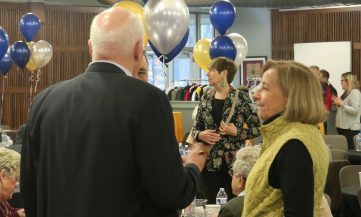 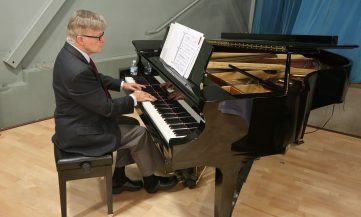 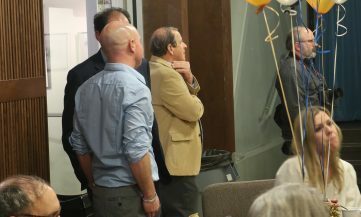 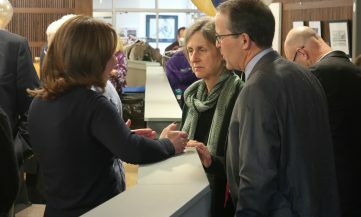 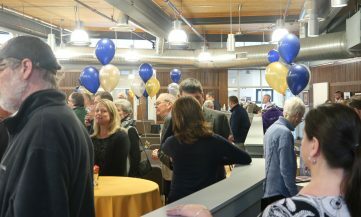 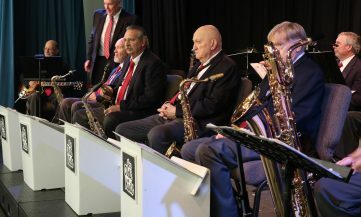 The event, sponsored by the South Shore YMCA, was held at Laura’s Center for the Arts, on the South Shore YMCA’s Emilson Branch campus in Hanover. 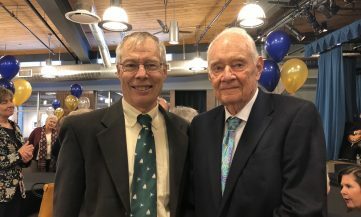 Impactful giving has been the drumbeat to which Herb and Paulie have marched for the past 35 years. 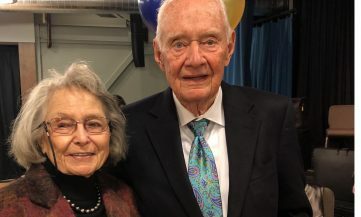 Upon retirement, they turned their attention to philanthropy, a passion that emerged over time. 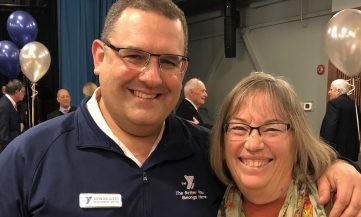 In their quest to find meaningful ways to give back, one of the charities they discovered and began to learn more about was the South Shore YMCA, and the relationship has blossomed ever since. 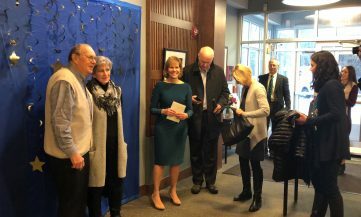 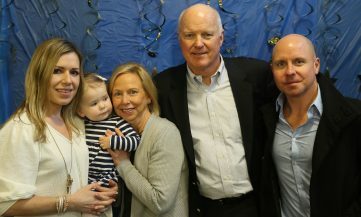 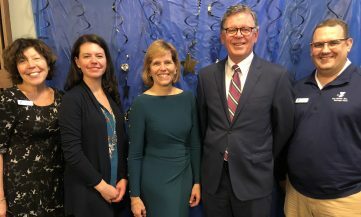 Today, the Emilson family’s generosity can be seen in countless ways, such as the South Shore Y’s Emilson Branch which is named after them, and Laura’s Center for the Arts, which was named in honor of their late daughter Laura Reikert. 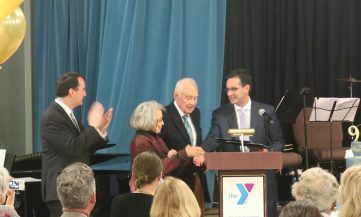 Beyond the South Shore YMCA, Herb and Paulie have given millions over the years to dozens of South Shore organizations. 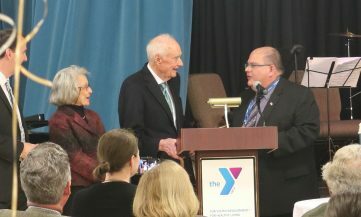 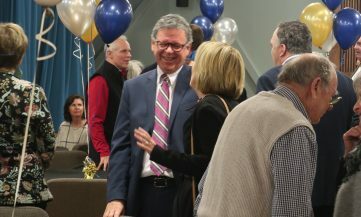 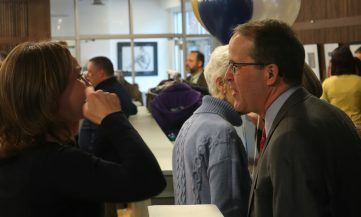 To kick off the celebration, Paul Gorman, President and CEO of the South Shore YMCA, spoke fondly of Herb and Paulie’s impact over the past several decades, not only financially, but personally as well. 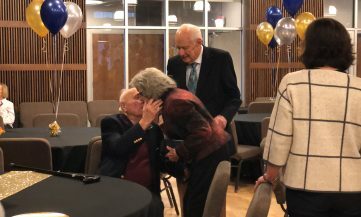 Heads across the room nodded in agreement as Gorman shared memories of their generosity, their mentorship, and their friendship. 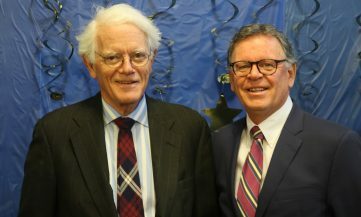 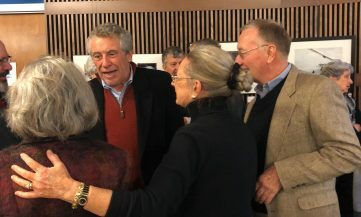 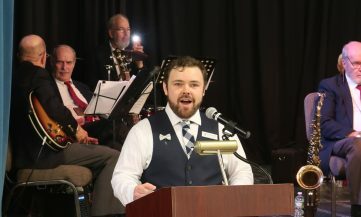 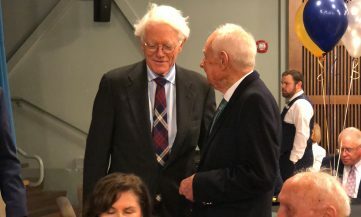 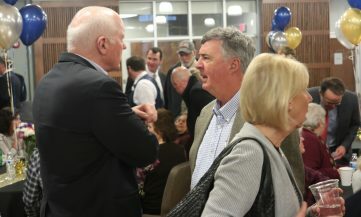 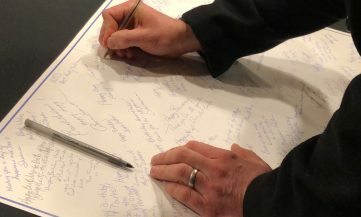 After Gorman’s remarks, three citations were provided to both Herb and Paulie by Jim Cantwell – Massachusetts State Director representing the U.S. 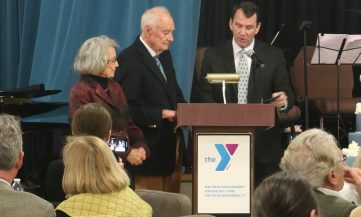 Senator Ed Markey of Massachusetts, Senator Viriato (Vinny) DeMacedo – State Senator representing Plymouth and Barnstable, and Michael Maresco – Marshfield Town Administrator. 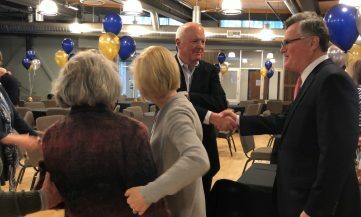 To cap the event, Herb Emilson stepped up to the podium to thank those in attendance, and to reflect on how important giving back has been for him and Paulie. 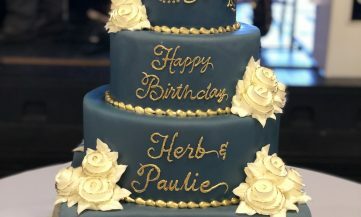 Before departing, guests could be seen lining up to deliver heartfelt happy birthdays on their 90 years each, and an even more sincere thank you’s to Paulie and Herb for their friendship over time. 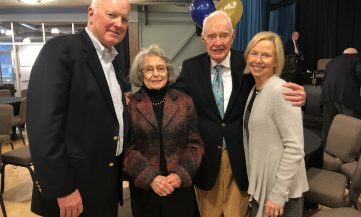 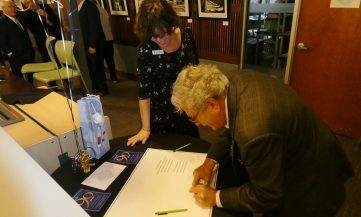 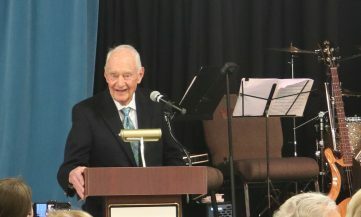 For more on the event, view the Patriot Ledger’s article here highlighting Herb and Paulie’s 90th Birthday Celebration hosted by the South Shore YMCA. 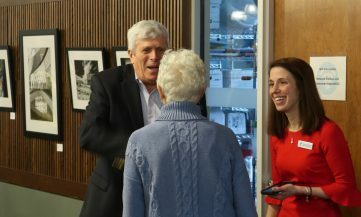 For images, please see below and allow time for the pictures to load as there are many. 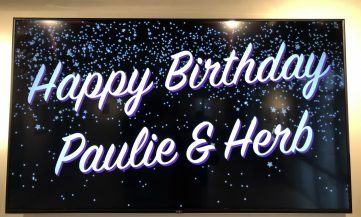 For quotes about Herb and Paulie from event attendees, please scroll down (below image gallery).